As we age we loose volume from our facial features our skeletal support structure reduces, and our skin becomes looser. Injectable dermal filling procedures can lessen the ageing effect.Dermal fillers are composed of Sodium Hyaluronate (HA), which is found naturally youthful looking skin. 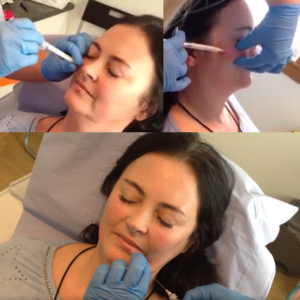 Dermal fillers are a relatively pain free method of reducing facial lines and wrinkles, and can last 12-18 months dependant on product used and areas treated. Jill can advise on best treatment options following face to face consultation. Content and images © Jill Best Aesthetics Limited 2018.